The flagship S-Class sedan seamlessly blends infotainment features like Apple CarPlay™ and Andoird Auto with advanced Mercedes-Benz technologies like DISTRONIC PLUS® and AMG® performance upgrades. Explore all that the Mercedes-Benz S-Class sedan offers when you visit Mercedes-Benz of Warwick near Providence! In the meantime, explore our S-Class inventory online to decide which configuration works best for you. Comes equipped with: Black, Black, Nappa Leather Upholstery. Other standard features include KEYLESS GO®, inductive wireless charging with NFC pairing, soft-close doors, Car-to-X communication, Active Brake Assist, Torque Vectoring Brake, PRESAFE®, ATTENTION ASSIST®, and much more. Additionally, there are plenty of add-ons to customize your S-Class sedan to your liking. 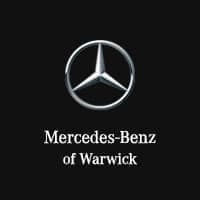 When you’re ready to drive home to East Greenwich in a new S-Class, visit Mercedes-Benz of Warwick at your convenience! We want to help you find the luxury car that will take your Cranston commute to the next level. If you have any questions before stopping by, please don’t hesitate to contact us at your convenience! Be sure to check out our new Mercedes-Benz incentives before coming in as well.